The Environmental Protection Agency is moving forward with plans to consolidate an office in Las Vegas and potentially lay off the employees who work there, despite a mandate from Congress to not close any regional offices or engage in any large-scale workforce reshaping. In the fiscal 2018 omnibus that President Trump recently signed into law, Congress appeared to block the closure of any regional office through the fiscal year. Appropriators said in an explanatory statement accompanying the spending bill that they did not expect EPA would “consolidate or close any regional offices in fiscal year 2018.” They also seemed to prevent the agency from laying off any employees, saying EPA would not "undertake large-scale adverse personnel actions or incentive programs in fiscal year 2018." The agency did not respond to inquiries into whether it would scrap the closure or how it could move forward, or how it would pay for relocation and severance costs, given the language accompanying the spending law. A spokesman for Democrats on the House Energy and Commerce Committee said it was their office’s understanding that the omnibus would have prevented the closure of the Las Vegas office. The prohibition on workforce reduction programs marked a departure from policy in place last year, when EPA set aside $12 million for employee separation incentives. The agency had hoped 1,200 employees would accept early retirement and buyout offers, though only 362 took the voluntary separation payment and a few dozen more used early retirement. In his fiscal 2018 budget, Trump proposed cutting more than 30 percent of EPA’s budget and one-fifth of its workforce. The proposal would have eliminated more than 50 EPA programs and offices. The agency said last year it would close its climate adaptation headquarters office. In its letter to employees last month, EPA said it was closing the Las Vegas ORD office because it was in a leased space, while other ORD employees are not in a leased space. 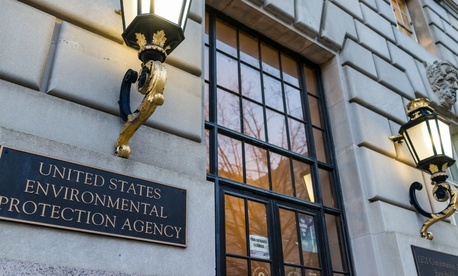 “The objective of the consolidation is to leverage EPA-owned resources to provide superior contributions, in support of the agency's mission,” the agency said. In 2015, the Obama administration released guidance urging agencies to sell off excess or underused office space, emphasizing opportunities to “consolidate, co-locate, and dispose of properties.” That policy, however, made no mention of or call for reassigning employees to new metro areas. Spokespeople for Democrats in both the House and Senate Appropriations committees said they were looking into the potential breach of congressional intent, while a Republican aide did not respond to an inquiry.